where I spent the winter. so I got to see him at least once a week! and later finished them at home. Thimble Blossoms Red Velvet Pattern variation. 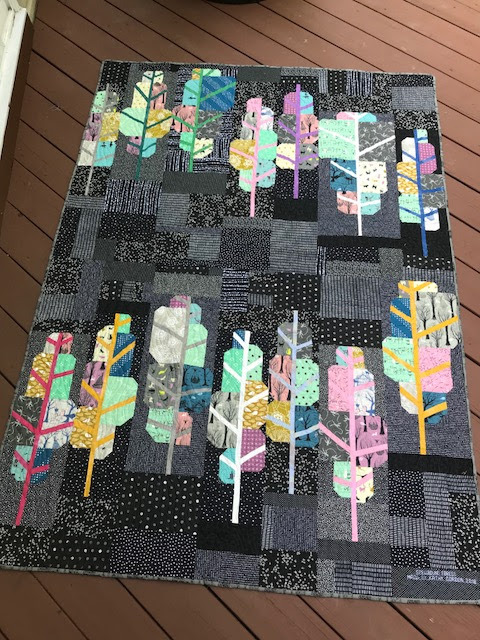 Painted Forest pattern by Blue Nichols Quilts. "Don't Go Into the Forest"
I also made a few zipper bags. The Clarissa bag is my favorite. Back to Ohio in April and sewing was done for a while. Spring brings my garden work! 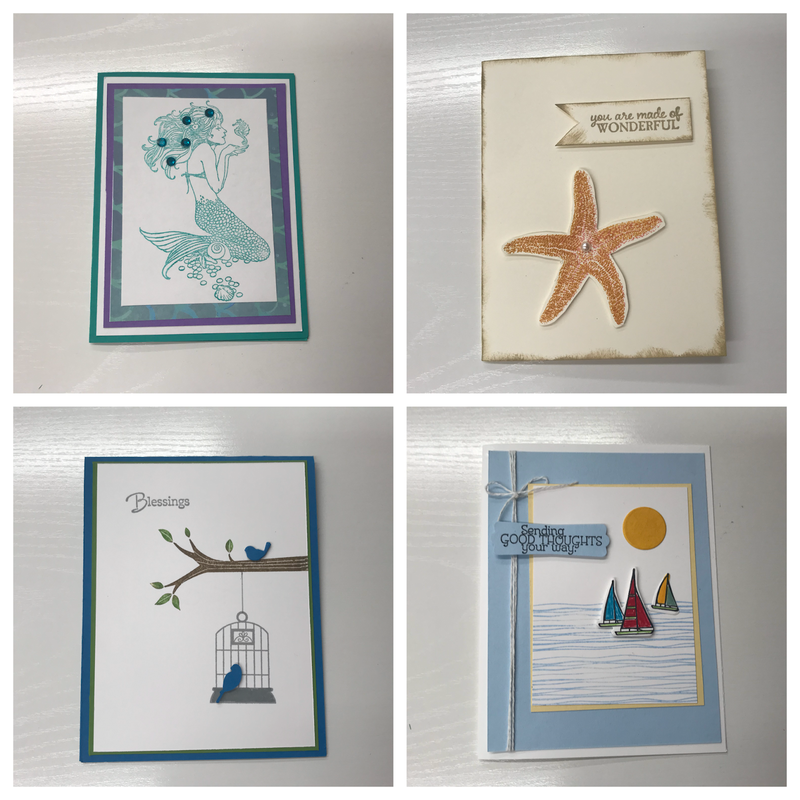 for a special friend who retired. 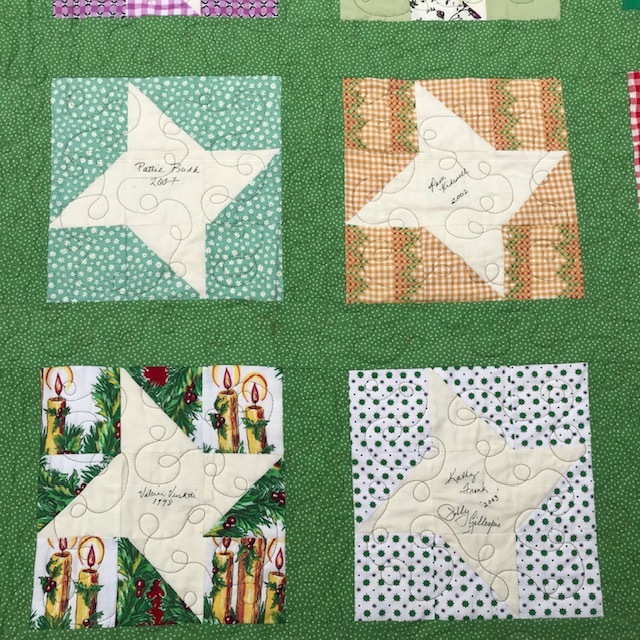 June, I began sewing a quilt for a good neighbor. His birthday is July 4th and Red, White and Blue! Sadly, Mark was diagnosed with lung cancer. 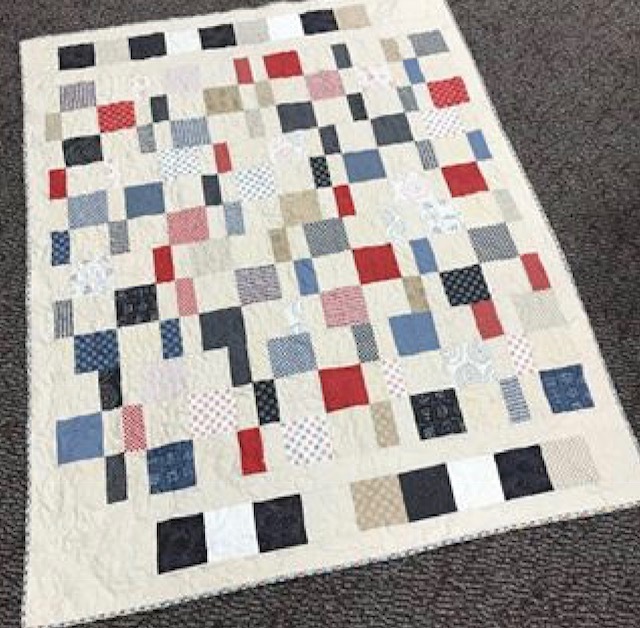 quilt to snuggle under with his recovery. Buckeye colors of scarlet and gray. 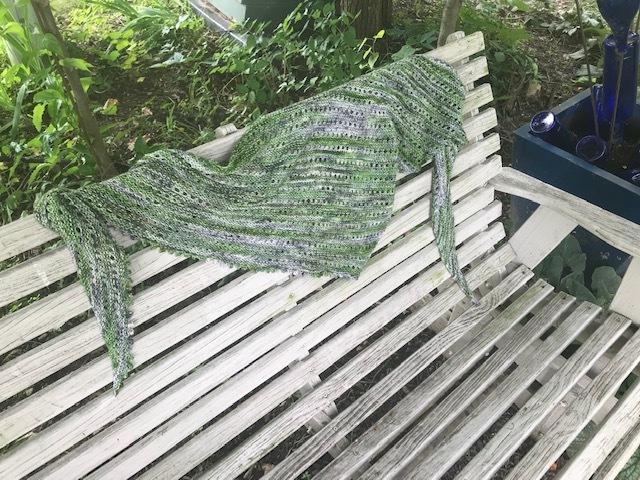 that I had sewn together at a May retreat. October new baby received this sweet quilt. My Ghastlies Mode Make Modern Building Blocks. requiring "strips" be sewn to make them fit! Really Moda? 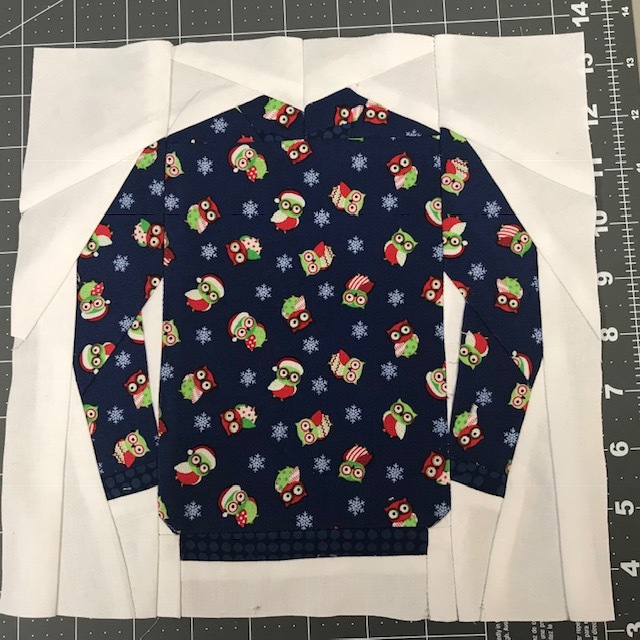 who tested this pattern? 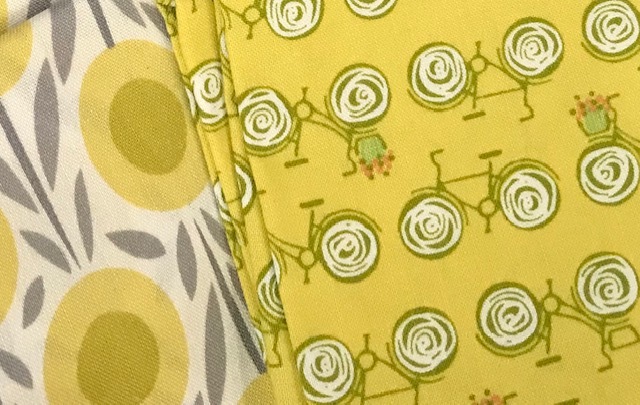 to highlight my Ghastlies fabrics. 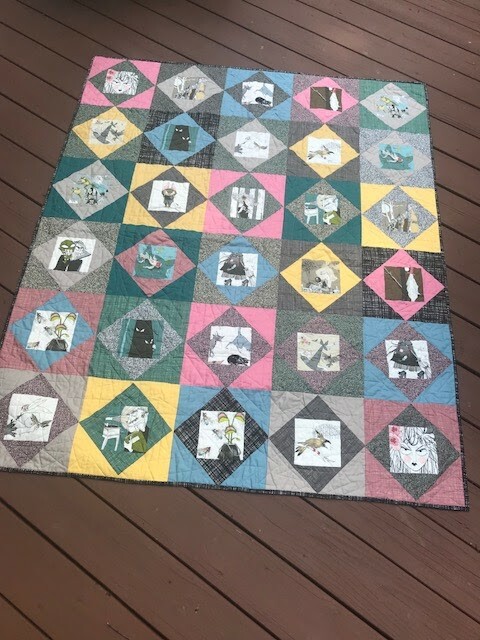 Cassandra Beaver quilted this huge 82" x 96" monster! and numerous blocks or WIPs that still remain on my shelves. 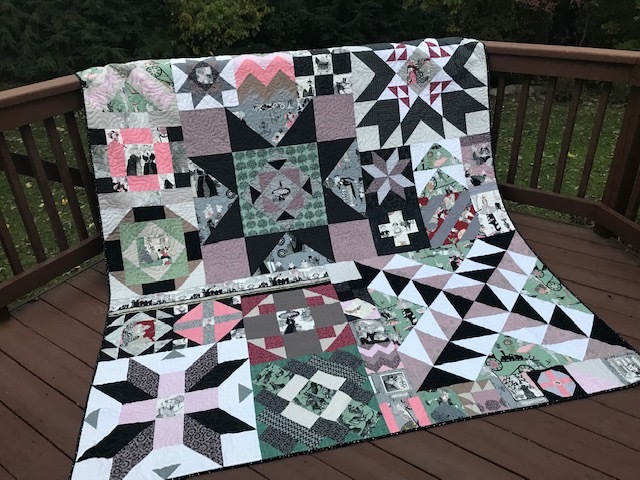 7 Lap size or larger quilts! and having a great time creating with paper and ink. I also usher for 6 Columubs OH Theatres. I have ushered 28 events. free tickets to the Summer Movie Series. Oh yes, we stopped traffic! 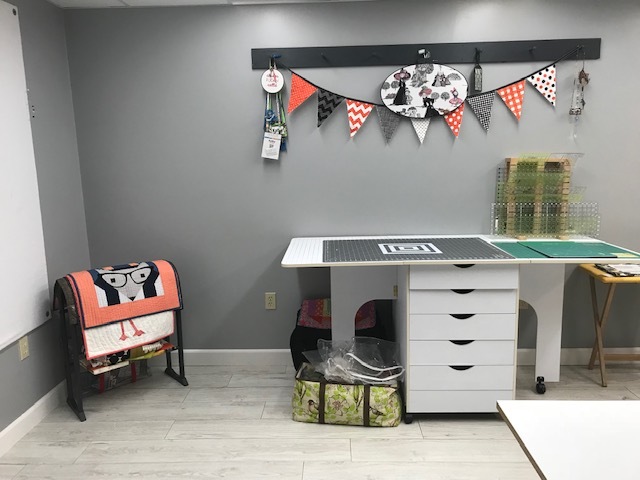 The best project this year was my sewing room remodel! nephew did all this work. All I had to do was fill in the color! and time with family and friends. Wishing you a very KWILTY New Year! full of goodies from the event sponsors. while the instructors rotated around the room! Friday had a day full of classes...3 in all. all during the event from Pink Castle Fabrics! They are the brains behind Glamp! and did a fabulous job! First class Friday was an applique class. I have not done applique in probably 12 years. for Felice Regina, who had to cancel at last minute. and this will eventually become a Knitting Project bag. Next up was Jeni Baker who I have admired for quite some time. 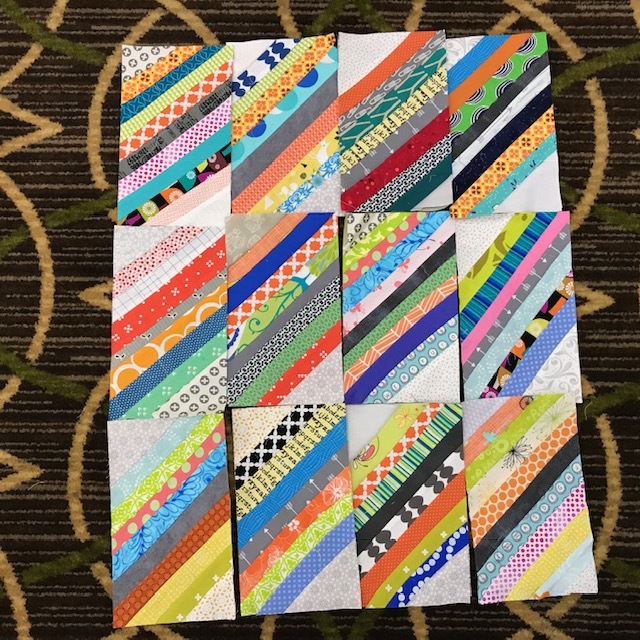 Her blog In Color Order is amazing...just like Jeni! I need to finish the Geese. No idea what this block will become. This was one of my favorite classes. The 3rd class on Friday was with Lizzy House. We made a wallet/pouch to carry essential oils. and did not suggest bias binding..DAH? will make a sewing kit...or something usable. These are the fabrics I selected for the project. Amanda Jean Nyberg aka Crazy Mom Quilts. I took plenty of scraps..
could sign them for me. The Ugly Sweater Blocks with Kerry Goulder. then I fell in a black hole. could NOT get my head around it. whose technique was the same as I remembered. tired and just didn't want to be bothered. by myself, where I could really concentrate. And once home...I made this as a test block. 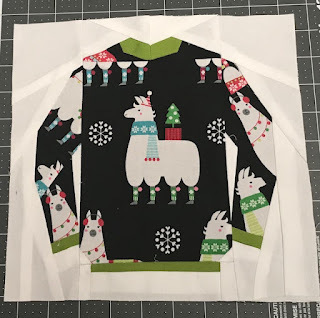 Next one is a special llama sweater. 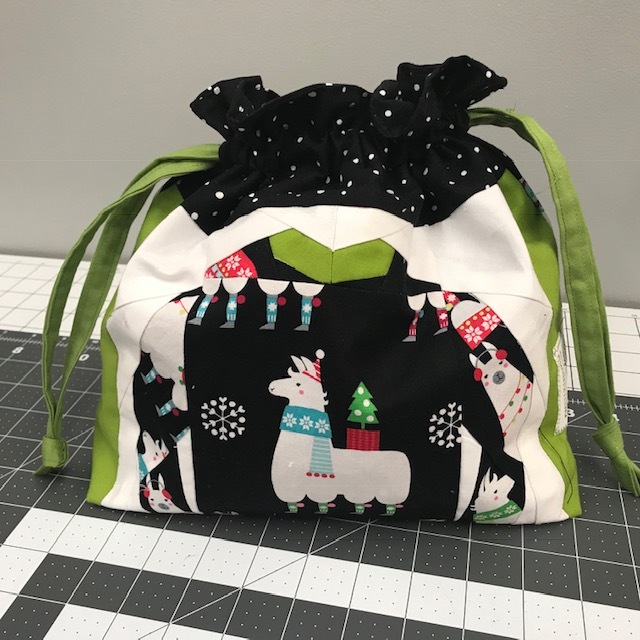 I made it into a knitting project bag! She lives nearby and came by the hotel to meet me! definitely connected "in real life" as stitching sisters. I prefer retreats where you bring your own projects. 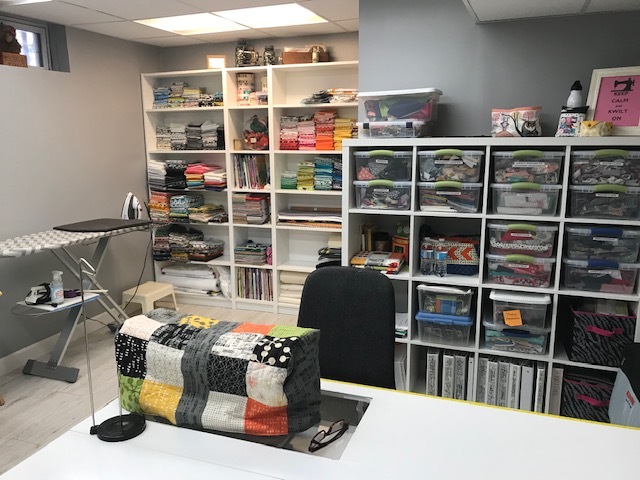 Sit, sew, chat, shop. drink, eat..not sew structured. everyone could chat with them. When, where and what kind of retreat is your favorite? I'm looking for a new adventure in 2019. 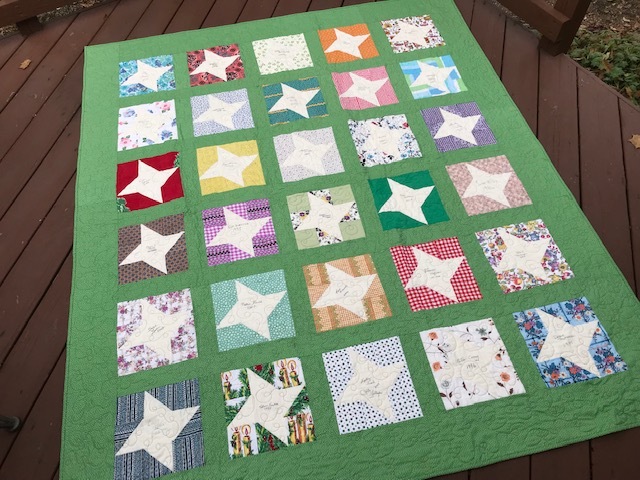 Carol at Just Let Me Quilt begins today! 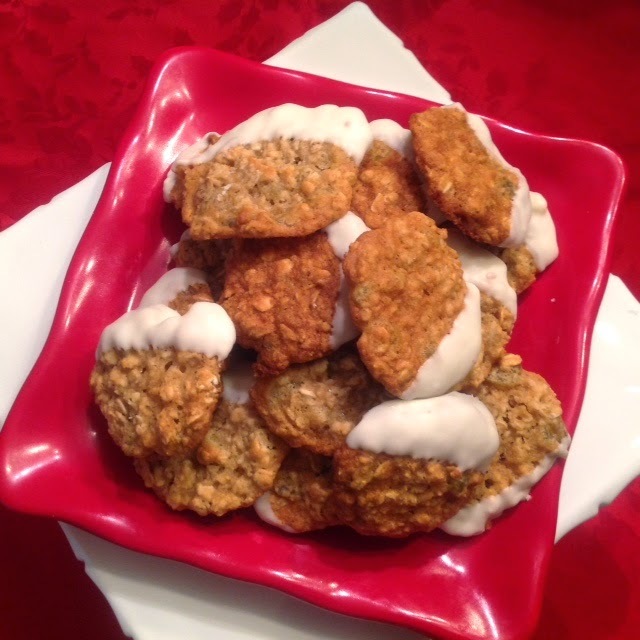 their holiday recipes, traditions and fun! with my girlfriends for 10 years. My party was not your typical cookie exchange! AND I decked my halls with as many as 17 Christmas trees. NO store bought, NO no-bakes, HOMEMADE! Dress in the party theme...different FUN theme each year! I had wonderful prizes every year for best dressed, best cookie, etc. Sew many wonderful memories with my friends. 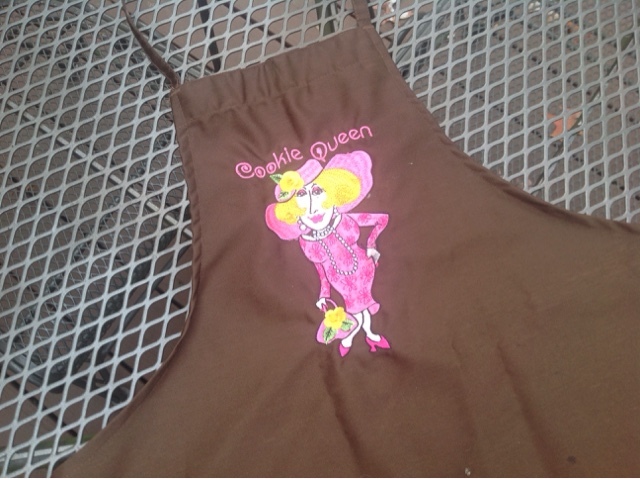 The "Vintage Apron Theme" was one of my favorite parties. I asked each girl to wear the apron and then gift it to me. with their name and the year we met. I wouldn't tell them why!!! 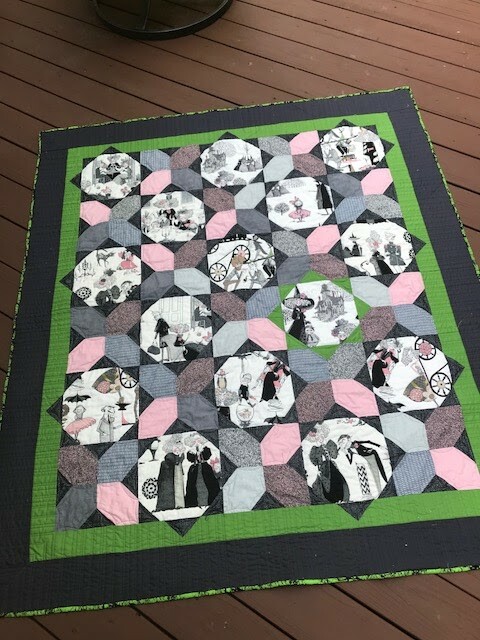 FMQ on a longarm by Shirley Haller. 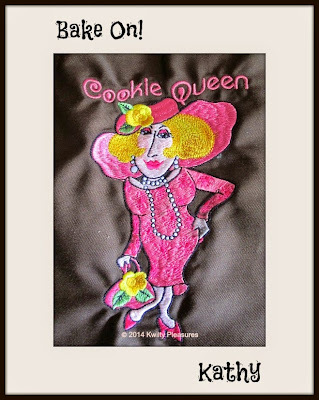 crowned me "The Cookie Queen"
For quick access click here ! But THIS cookie is a favorite! The Biltmore Estate decorated for Christmas. and stock up on my Biltmore Wine! Our 19th Anniversary is Dec 4 but this is our celebration. I am trucking along with a new holiday decor theme! Vintage Red Truck/Christmas Tree ornaments. Last year and they were very hard to find. This year...this theme is EVERYWHERE! 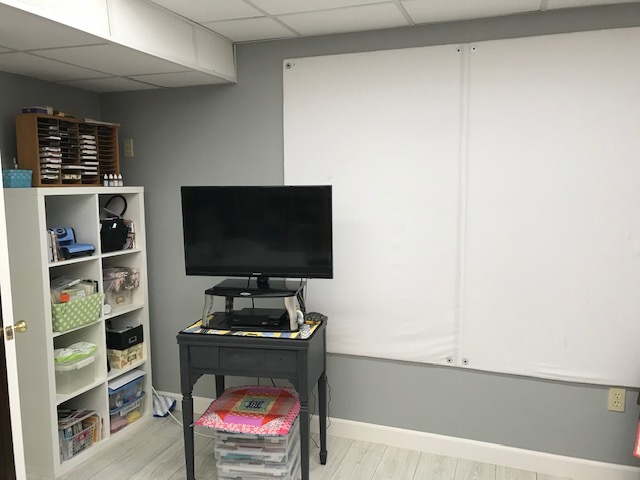 This post is about the fabric I had to have. with lots of great holiday memories and SNOW! 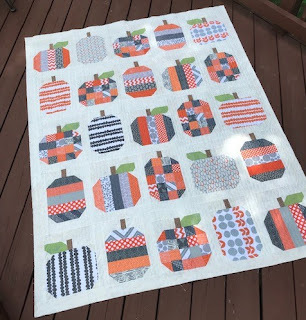 I fussy cut centers for Economy Blocks. Its a fav block if you have a special novelty print. from my stash and the black and red plaid. old and ugly toss pillows! I found a black and gray print for the pillow backs. They just sing...over the river and thru the woods! And will look great on my front porch for the Holidays. and they also say...come home for the holidays. sew it will work up quickly. The question is...THIS Christmas or NEXT? and you will see a lot of this theme. Thanksgiving every year! I am "thankful" I can do that! will make you want to "Come Home for the Holidays"